In 1992 the 11th Street Corridor TIF Plan was created in an effort to ensure over 26 individual project areas would be required to go through a design review process prior to any new development. The review process assesses new development proposals (such as changes to buildings, pedestrian paths, streetscapes, parking and landscaping), to be sure updates are consistent with the historic and architectural character of the area. One of the 26 project areas, called Project M, is the Poindexter Building (801 Broadway), originally built in 1901 as the home to a dry goods company. 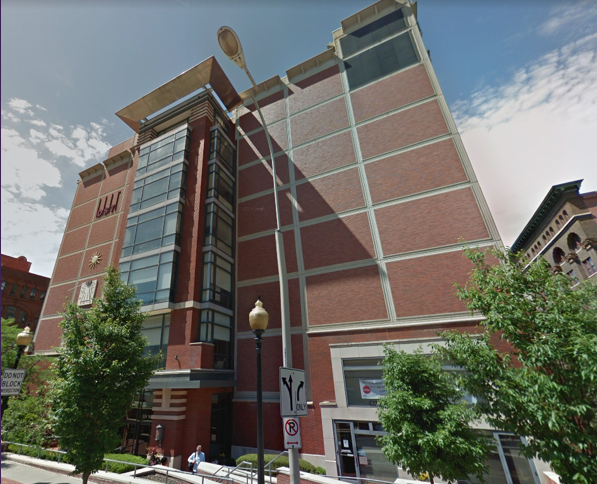 In 1995, DST was approved to redevelop Project M, to create their own office space and additional usable spaces for other tenants. At the time, the valuation of the asset was $470,000, now, the assessed valuation is at $3,540,000. This significant increase over time, by having the TIF in place, creates new tax revenues for the city. Those new revenues will be redistributed to areas such as the library and mental health funds, among others, that wouldn’t otherwise have been there.